Dr. Deepti Mehra completed her residency at Jersey Shore University Medical Center in 1999. Her practice is focused on infants, young children and adolescents. A mother of two children, she loves working with parents striving to raise happy and healthy children. Dr. Mehra has proudly served as a volunteer physician with the Monmouth County Regional Health Commission during community emergencies such as the H1N1 (“Bird Flu”) epidemic and more recently during Hurricane Sandy. Dr. Neeraj Mehra completed his residency at the UMDNJ-Robert Wood Johnson Medical School Family Medicine Program in 2004. As a family physician, Dr. Mehra has delivered babies and provided healthcare for infants, parents, and grandparents. 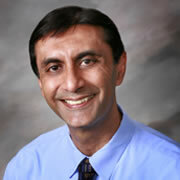 Dr. Mehra was honored by the Society of Teachers in Family Medicine in 2004 for his commitment to teaching. He also serves as a volunteer physician with the Monmouth County Medical Reserve Corps. 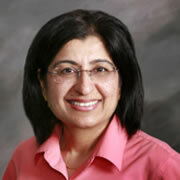 Dr. Mehra maintains a special interest in preventive medicine and community health improvement.